KIA PICANTO 2004-2010 1.1 (1086 cc) PETROL. 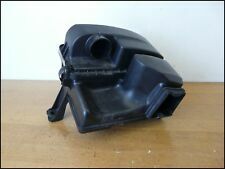 AIR FILTER BOX. We cannot be held responsible if the item does not fit your vehicle. They are new and unused. International, E b a y. Try and find a part number on the existing part. Failing that. I advise you to check that this is the correct part for your particular vehicle. We are not stating that it is. Kia Part Number: 0K30C13Z40A. It will fit Kia Rio 1.5 from 2000 to 2005. Genuine Kia Air Filter. The photograph is of the actual item. AS ABOVE NEW GENUINE KIA AIR FILTER! PLUS NEW TYRES & ALLOYS! PART NO:0K30C13Z40A. First for Filters - a 20 year pedigree matching O.E. quality Filters have been in Comline's blood for over 20 years. Comline Technical says - given our pedigree in this product group and our range of distribution it is likely you already have Comline filters running your car! Air filters are very important components for all internal combustion engines. Their purpose is to filter out airborne particulates such as dust, pollen, soot, mist and others before they reach the engine.